Miaki Ishii and Maureen Long are two young geophysicists whose early careers have been minted by the USArray data set. The USArray Transportable Array is an extensive network of seismometers deployed across North America that records ground vibrations from earthquakes. Ishii, Long, and other scientists and students can freely access those recordings in order to study a multitude of questions about the structures at and beneath Earth’s surface. The United States road system is a feat of human engineering, an extensive web of arteries supplying resources and providing access to the furthest corners of the country. If you gathered all the roads in the US, from interstate highways down to dusty washboard lanes, and laid them side by side, they would take up an area the size of South Carolina. The Transportable Array field engineers have traveled roughly 2.5 million kilometers of those roads. Show the Transportable Array field engineers a map of the United States and ask them to point out where they’ve been. “I’ve been here,” they’ll say, sweeping a hand from California to Maine. It’s a nondescript entrance in Seattle’s University District, the kind of shadowed door that your eye slides over as chattering students and harried bicyclists rush past. You would never know that it houses the Library of Alexandria of earthquake data. The Pacific Northwest is due for a catastrophic earthquake. Offshore from Washington State, the Pacific Plate is grinding slowly eastward, forcing the Juan de Fuca Plate under the edge of the North American Plate. This region of clashing tectonic plates is known as the Cascadia subduction zone, a hotbed of seismic activity that has spawned mountain ranges, volcanic eruptions, and earthquakes. A large earthquake in Cascadia could trigger tsunamis and landslides that would devastate Seattle, Puget Sound, and the Pacific Rim. In a region as soggy as the Pacific Northwest, tremblors could also shake the soil loose and induce deadly landslides. The last megathrust quake, in 1700, generated a tsunami so large that it battered the shores of Japan. Spiral Jetty, Robert Smithson’s earthwork of mud and basalt, uncurls like a giant chameleon’s tongue taking a drink from the Great Salt Lake. It’s an 80 km drive west of Brigham City, Utah, and once you get there, the sculpture might not even be visible, depending on the seasonal rains. Graylan Vincent visited Spiral Jetty one August evening in 2006 after finding a site for an earthquake sensor on a nearby ranch. 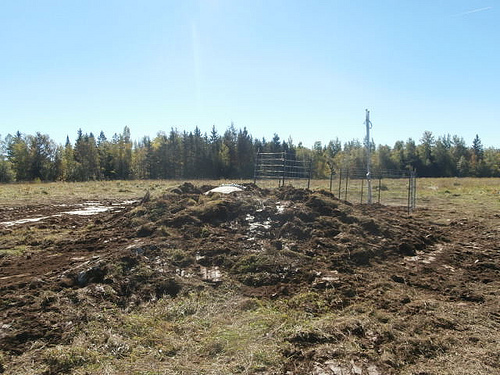 The winding drive up to the earthwork did not seem so ludicrous compared to some of the journeys he had made while hunting for remote, undisturbed locations to place the hundreds of other seismometers that constitute the EarthScope Transportable Array. In fact, Vincent kind of liked how Spiral Jetty was in the middle of nowhere. Before microscopes, we had no idea that the human body was teeming with microbes. Before telescopes, we could only wonder how stars formed. Sometimes, it takes the right scientific instrument to see old questions from new angles and spark new advances in research. Vladik Martynov is eavesdropping on North America. From his computer in San Diego, he gets real-time updates of what’s going on at the ground—and underground—from a dense grid of seismometers stationed across the United States called the USArray Transportable Array (TA). Sound waves registered on TA seismometers can tell him if earthquakes happen, where mining blasts occur, when storms thunder overhead, or whether a train passed near a seismic station. On February 15, 2013, an asteroid 18 meters wide plummeted into Earth’s atmosphere and exploded over Chelyabinsk, Russia, with the force of 500 kilotons of TNT. Nearby eyewitnesses saw an intense light flare across the gray morning sky, leaving a trail of smoke. The meteor’s explosion generated low-frequency shock waves, known as infrasound, so powerful that, on the ground 30 kilometers below the explosion, thousands of windows blew out, more than 7,000 buildings sustained damage, and nearly 1,500 people were injured. These infrasound waves traveled twice around the world and were recorded by the USArray Transportable Array, a seismic network spanning the United States, as they bounced off Earth’s surface and shook the ground. How Do We Know What’s Inside Earth? How do we know what’s inside Earth? We can’t just cut into it like a cake. It’s extremely difficult to drill past Earth’s crust because the pressure and temperature increase the deeper down we drill. In fact, the deepest man-made hole ever only made it 12.3 kilometers, barely 1% of the 1,300-kilometer distance to Earth’s center. Vacation never stopped Howard Peavey from working. At 9 PM on a Wednesday during his week off, Peavey sat down at the computer and pulled up the online real-time USArray data monitor, a color-coded table showing temperature, humidity, bilge pump activity, battery power, and other state-of-health measures for the earthquake sensors in the USArray Transportable Array. He noticed that Station C40A, located in the middle of Lake Superior on Isle Royale National Park, had stopped sending data. C40A had been troubling Peavey since it was buried in the ground in October 2011. Every morning, Mike Hamlin gets his coffee, reads his email, checks the weather, and then clicks on the USArray’s station monitor website to see what’s shaking. He downloads a readout of the previous day’s seismic activity measured by an earthquake sensor that sits in his own backyard, USArray Station M49A. Meet Howard Peavey, the traveling serviceman who helps keep the Transportable Array of earthquake sensors running smoothly. When state-of-health readings show flooding, low batteries, or mysterious thumps in the night, Howard drives out to doctor to the seismometers. His hard work, intricate knowledge of bilge pumps, and courage in the war on fire ants allow the Transportable Array to continue to collect high-quality data that geophysicists and seismologists can analyze from the comfort of their office chairs. Ben Johnson was kneeling in a stranger’s backyard, setting a stake in the ground to mark the spot for a seismometer. He and his partner Jamie Ryan, both geology undergraduates at Michigan State University, had spent a day and a half on the outskirts of Lansing, going door-to-door, looking for property far from all human activity. They were siting locations for 25 seismometer stations in a grid across eastern Michigan. Their region was just one patch in a quilt of seismometers called USArray that would cover the United States with over a thousand seismic stations spaced every 70 kilometers. James Taylor, a geology student at Auburn University in Alabama, used to be terrified of public speaking. He swore it off after he coughed through a speech in eighth grade, and he got almost all the way through his undergraduate career at Auburn without having to speak in front of strangers. One day during his senior year, however, geology professor Dr. Lorraine Wolf emailed about a summer job that required students to approach landowners all over Alabama and ask them to participate in a national seismology experiment called EarthScope. At first, Taylor dismissed the email, but then he began to wonder if it might help him come out of his shell.